Can you believe it is already time for Halloween?!?!?! 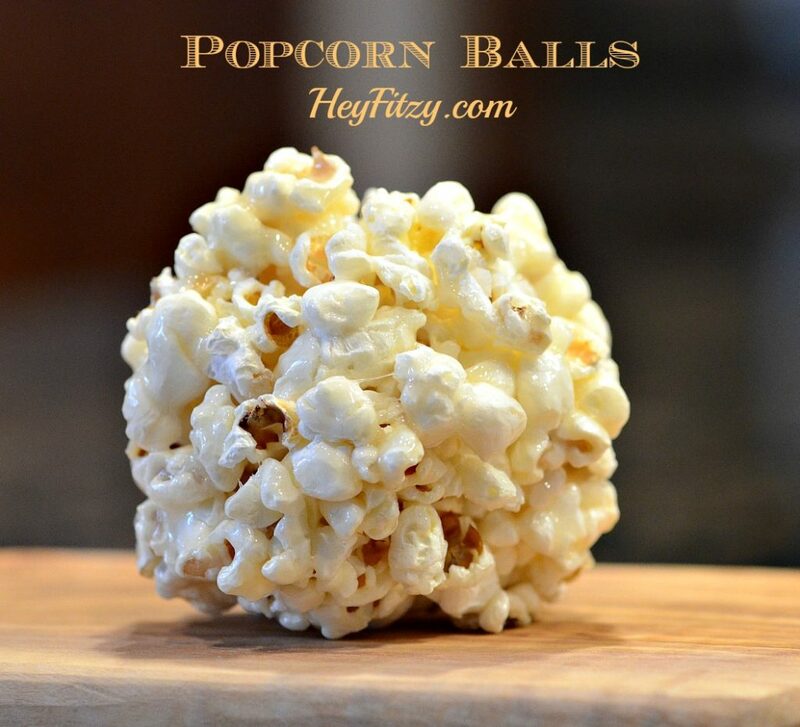 We have a traditional in the Fitzy house to make a family favorite…Popcorn Balls! I want to tell you a little bit about this traditional in our family and why we hold it so dear…and trust me…you will love these! 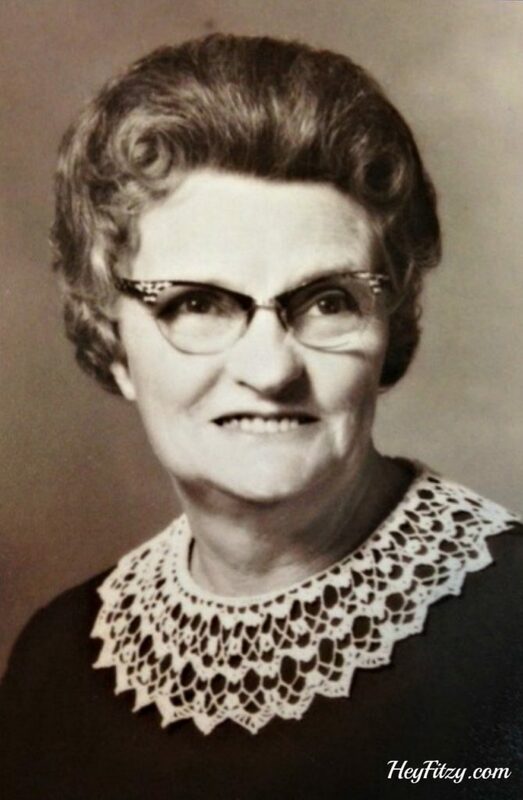 Born in 1910, my grandmother grew up on a small family farm in a rural community. She spent her days working on the farm, walking to the little brown school house, and helping in the family kitchen. Times were tough yet she never complained. She went on to marry and eventually raised four children. Her years were spent tending to the children, playing the organ at church, and of course…cooking in the kitchen. Outside of church…I believe her kitchen was one of her favorite places. That kitchen represented a place to gather, share a good meal, connect with loved ones, and a way for her to care for the ones she loved. Her recipes became legendary…particularly her ability to bake a divine treat. Eventually she was widowed and money was even tighter. Those sweet treats were wrapped lovingly in tiny boxes to be gifted for each holiday. Even as a small child, I remember the loving detail she created for each specially wrapped box. Even more I remember the anticipation of unwrapping the sweet box to discover the lovely treats inside. Halloween was no exception when it came to sharing goodies with loved ones. Starting the week prior, my grandmother would begin making batch after batch of popcorn balls. She would spend hours baking popcorn, cooking the sauce, forming the balls, and lovingly wrapping each one. In those days, she would add a little food dye until each batch was the perfect shade of orange. As a way of honoring my grandmother’s memory and carrying on this family tradition, we lovingly make a batch of grandma’s famous popcorn balls each fall. Each batch of popcorn balls has a tendency to quickly disappear. It is not unusual for my kids to fight over the last one, barter chores, and/or hide one from the other siblings. Here is the recipe for Grandma’s Popcorn Balls. May your family enjoy them as much as we do! Family favorite! Yummy popcorn balls! Add sugar, karo syrup, and cream of tarter to medium sauce pan. Over medium heat, stir constantly... bring to soft ball stage using a candy thermometer. Do not over cook! Add baking soda and butter and optional food color. Pour heated mixture over popcorn. Using your hands form popcorn into balls. Helpful hint: dip hands in cool water before forming balls. This will keep the popcorn from sticking to you. I like to place the popcorn balls on a piece of parchment paper while working. 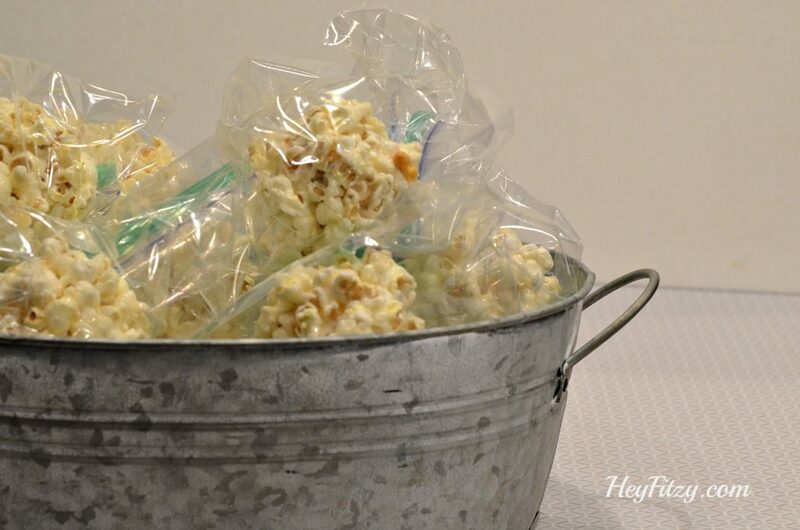 Popcorn balls can be place in a small sandwich size bag or wrapped with plastic wrap. I totally forgot everything about popcorn balls, but now I'm remembering them as a kid. I'm so excited you posted this! I'm going to make these this fall. Thanks for sharing!! Thank you Teresa! I hope your family enjoys them as much as we do! !